We pride ourselves on being ‘a place of firsts’, and organisations work with us because we dedicate ourselves to doing things no one else has done before. By being the ones trying things for the first time in our industry, our team has come to influence people and organisations well beyond our means. For us, the backbone of any learning ecosystem is a data store and we’ve built one of the market leaders, Learning Locker. Feeding from this we’ve created a Personal Learning Hub called Red Panda, where learners can plan and track their learning journey. And for when you need to step in to design and deliver an engaging course experience, there’s our award-winning social learning tool, Curatr. If that sounds like you, drop us a line – you never know when something suitable may open up! We are committed and passionate about giving people better opportunities in life through learning. That counts for our staff as well as our customers. Our compensation package is one of the best in our sector. We give a wide-range of additional benefits, like 25 days paid holiday per year, from day one. A number of our staff are continuing their professional development with graduate and post-graduate qualifications, fully supported by HT2 Labs. 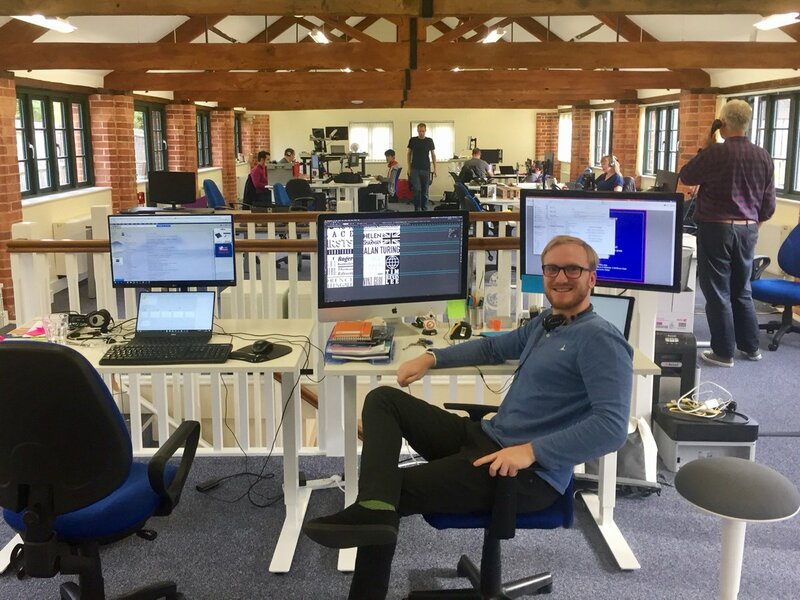 We take our mission seriously, but we’re small enough to remain flexible and enjoyable as a work environment – office dogs, standing desks and unlimited supplies of cake – we’ve nailed the whole ‘Start-up’ thing.